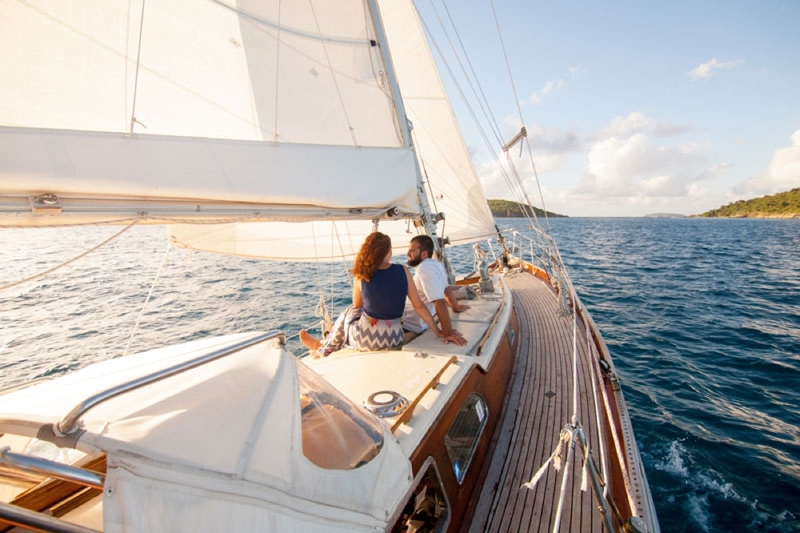 Classic Wooden Yacht Available For Day Sails & Overnight Charters. 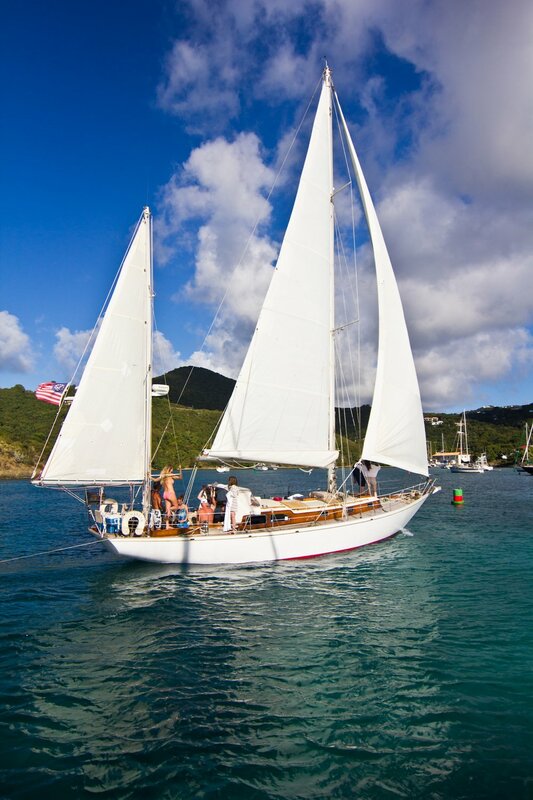 CIMARRON DEPARTS DAILY FROM CRUZ BAY, ST. JOHN, US VIRGIN ISLANDS. 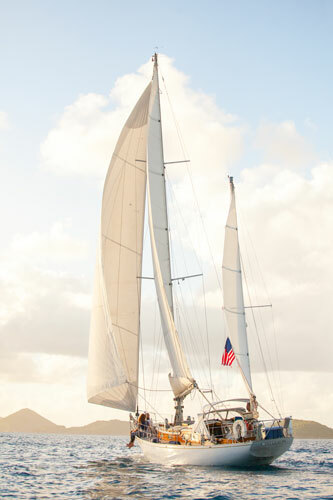 CIMARRON IS A 43' CLASSIC WOODEN YAWL BUILT IN 1969. Her NAME hails FROM A RIVER IN THE SOUTHWEST UNITED STATES. ASSOCIATED WITH WILD HORSES, AND ALSO WITH RUNAWAY SLAVES — AN INDEPENDENT AND ADVENTUROUS SPIRIT. Grew up sailing on the beautiful coast of Maine and has been sailing the Maine coast for over 45 years. Rick and Cimarron united over 35 years ago, he's sailed her hundreds of thousands of miles across Atlantic, around the Caribbean, and for the last 10 years he has sailed from St John, USVI to Camden, Maine for summers best and returns every November to the warm Caribbean winters off of St. John, US Virgin Islands. Rick has an intimate knowledge of the history of Maine and the Virgin Islands and is always willing to share spectacularly entertaining stories! Our trips are private and offer complimentary open bar! The Caribbean waters surrounding St. John, US Virgin Islands have often been described as a snorkeler's paradise. An unusual shallow depth of only 20-30 feet and crystal clear water, you will soon find out why the water and reef system are a National Monument. Our half and full day snorkeling trips take you to the places off the beaten path that are not easily accessible on island from the beaches of St. John. During our trips we have encountered many sea turtles, octopus, sea stars, parrot fish and occasionally even dolphins and whales! 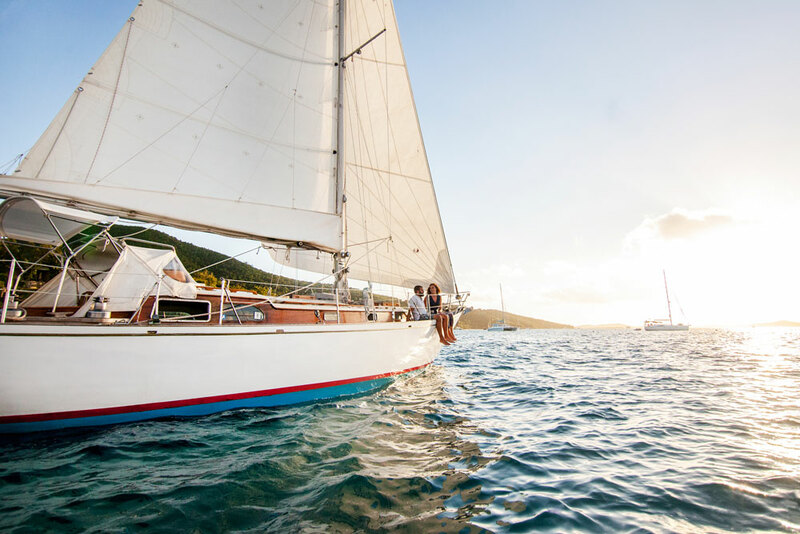 Sail from St John to British Virgin Islands. Jost Van Dyke, British Virgin Islands is a favorite among St. John's visitors and locals like. White Bay, a stunning white sand beach scattered with a myriad of charming beach bars including Soggy Dollar Bar, One Love, Gertrude's, and Ivan's Stress Free Bar has something for everyone. There are plenty of chairs and hammocks just waiting to be lounged in. 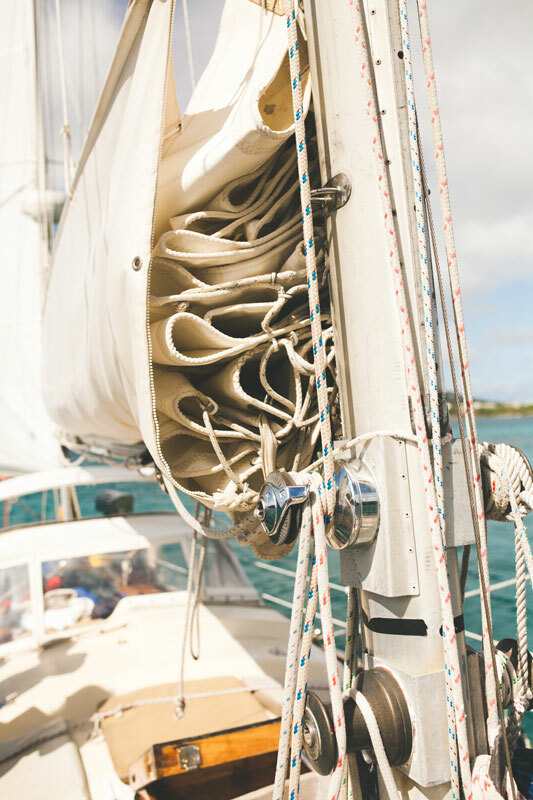 Sail over on our classic mono-hull, Cimarron, while feeling the cool Caribbean breeze in your hair and soaking up delicious sun rays. Unlike larger catamarans and ferry boats, Cimarron limits the number of passengers on board. Upon arriving at Jost Van Dyke you will have a chance to enjoy a cocktail and hopefully catch a glimpse of Foxy at Foxy's Beach Bar while our crew handles all of the customs and immigration for you. Next stop: White Bay, one of the Travel Channel's top ten beaches in the world. If the Soggy Dollar and other bars are not what you had in mind there is plenty of beautiful white sand beach to enjoy, ATV tours and island tours!